Not to be confused with Sullivan, New York. Sullivan County is a county in the U.S. state of New York. As of the 2010 census, the population was 77,547. The county seat is Monticello. The county's name honors Major General John Sullivan, who was a hero in the American Revolutionary War. The county was the site of hundreds of Borscht Belt hotels and resorts, which had their heyday from the 1920s through the 1970s. In 2010, New York's center of population was at the southern edge of Sullivan County. In the late 19th century, the Industrial Revolution and the advent of factories driven by water power along the streams and rivers led to an increase in population attracted to the jobs. Hamlets enlarged into towns. As industry restructured, many of those jobs left before the middle of the twentieth century. The economy changed again after that, shifting to a more tourist-based variety and benefiting from resorts established by European Jewish immigrants and their descendants in what became called the Borscht Belt of the 20th century. Resort hotels featured a wide variety of entertainers, some nationally known. At the beginning of this period, visitors traveled to the area by train, and later by automobile. The area's natural resources also provided a setting for numerous summer camps frequented by the children of immigrants and their descendants. Sullivan County is generally considered a swing county as it has been won by both Democrats and Republicans. In 2004, Republican George Bush defeated Democrat John Kerry by a margin of 49.47% to 48.55% or a difference of 285 votes. In 2008, however, it was won by Democrat Barack Obama over Republican John McCain by a margin of 54% to 45%. There are thirty six town and village courts in Sullivan County. Legislative authority is vested in the county legislature which consists of 9 members each elected from single member districts. Currently, there are 5 Republican and 4 Democrats. As of the census of 2000, there were 73,966 people, 27,661 households, and 18,311 families residing in the county. The population density was 76 people per square mile (29/km²). There were 44,730 housing units at an average density of 46 per square mile (18/km²). The racial makeup of the county was 85.31% White, 8.51% Black or African American, 0.27% Native American, 1.12% Asian, 0.04% Pacific Islander, 2.89% from other races, and 1.87% from two or more races. 9.25% of the population were Hispanic or Latino of any race. 16.6% were of German, 13.9% Irish, 12.5% Italian, 7.3% American and 6.2% English ancestry according to Census 2000. 86.6% spoke English, 7.4% Spanish and 1.0% German as their first language. A small population of Russians, late twentieth-century immigrants, live in the villages. There were 27,661 households out of which 31.30% had children under the age of 18 living with them, 50.10% were married couples living together, 11.40% had a female householder with no husband present, and 33.80% were non-families. 27.90% of all households were made up of individuals and 11.40% had someone living alone who was 65 years of age or older. The average household size was 2.50 and the average family size was 3.05. In the county, the population was spread out with 24.90% under the age of 18, 7.30% from 18 to 24, 28.10% from 25 to 44, 25.40% from 45 to 64, and 14.30% who were 65 years of age or older. The median age was 39 years. For every 100 females there were 103.60 males. For every 100 females age 18 and over, there were 102.80 males. The median income for a household in the county was $36,998, and the median income for a family was $43,458. Males had a median income of $36,110 versus $25,754 for females. The per capita income for the county was $18,892. About 11.60% of families and 17.40% of the population were below the poverty line, including 21.60% of those under age 18 and 10.70% of those age 65 or over. Sullivan County has some service provided by Coach USA to New York City. It also has some local service provided by the county itself, as well as community organizations. Many famous comedians tested their material and performed regularly at Borscht Belt hotels, including Milton Berle, Mel Brooks and Henny Youngman. Eddie Fisher performed often at Grossinger's, where in 1955 he married Debbie Reynolds. During the period August 15–18, 1969, some 500,000 people gathered in Sullivan County's Town of Bethel at Max Yasgur's farm to attend the Woodstock Festival. The entertainers included The Who; the Grateful Dead; Jefferson Airplane; The Band; Canned Heat; Joan Baez; Arlo Guthrie; Crosby, Stills, Nash and Young; Janis Joplin; Santana; Sly and the Family Stone; Blood, Sweat and Tears; Jimi Hendrix; and Richie Havens. ^ a b "State & County QuickFacts". United States Census Bureau. http://quickfacts.census.gov/qfd/states/36/36105.html. Retrieved October 13, 2013. ^ "Centers of Population by State: 2010". United States Census Bureau. https://www.census.gov/geo/reference/docs/cenpop2010/CenPop2010_Mean_ST.txt. Retrieved April 5, 2014. ^ Leip, David. "Dave Leip's Atlas of U.S. Presidential Elections". http://uselectionatlas.org/RESULTS. Retrieved 19 April 2018. ^ "U.S. Decennial Census". United States Census Bureau. https://www.census.gov/prod/www/decennial.html. Retrieved January 7, 2015. ^ "Population of Counties by Decennial Census: 1900 to 1990". United States Census Bureau. https://www.census.gov/population/cencounts/ny190090.txt. Retrieved January 7, 2015. ^ "Census 2000 PHC-T-4. Ranking Tables for Counties: 1990 and 2000". United States Census Bureau. https://www.census.gov/population/www/cen2000/briefs/phc-t4/tables/tab02.pdf. Retrieved January 7, 2015. ^ "Archived copy". Archived from the original on 2013-11-11. https://web.archive.org/web/20131111081657/http://www.communityalliance.net/?page_id=137. Retrieved 2013-12-19. ^ County, Sullivan. "Sullivan County > Departments > Transportation". http://www.co.sullivan.ny.us/Departments/Transportation/tabid/3387/Default.aspx. Retrieved 19 April 2018. 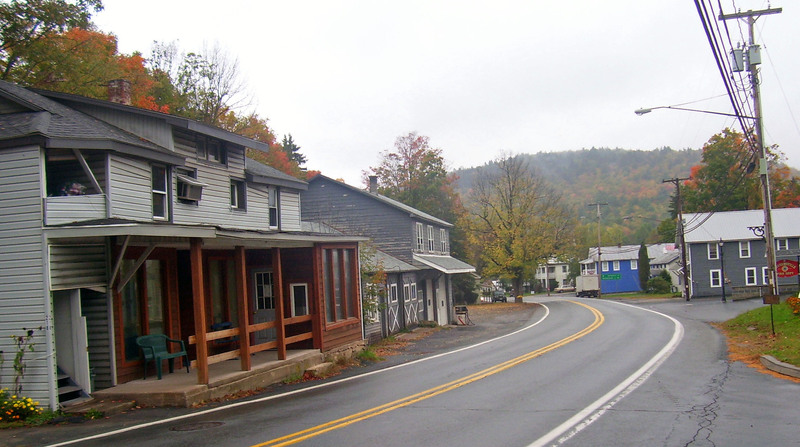 Wikivoyage has a travel guide for Sullivan County, New York. This page uses content from the English language Wikipedia. The original content was at Sullivan County, New York. The list of authors can be seen in the page history. As with this Familypedia wiki, the content of Wikipedia is available under the Creative Commons License.